Cleans hard surfaces - so you don't have to! 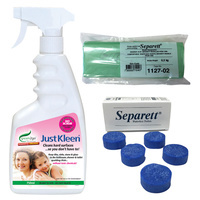 Green2goTM Just Kleen® 750ml trigger pack is a ready to use formula. Contains no toxic, harmful or odourous chemicals. Just safe organic bacteria cultures, that digest scale, dirt & soap build-up on hard surfaces in the bathroom, laundry and many other areas around the home. Great for the shower and bathroom! Use weekly in the shower and stop scrubbing! 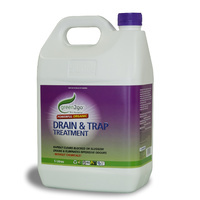 Even digests urine, removing smells from around the toilet, urinals etc. Keeps working LONG AFTER APPLICATION. See 'Specifications' tab for Directions For Use. Also available in 1L Concentrate, for you to dilute 1:4 with cold water prior to use. 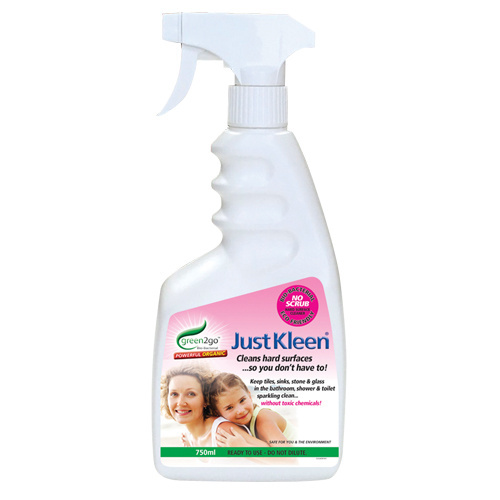 Just safe organic bacteria cultures, that digest scale, dirt & soap build-up on hard surfaces in the bathroom, laundry and many other areas around the home. I gave the two 750ml bottles to two friends who think it's fabulous. I also mentioned it to a work colleague who has just received two bottles. Great product. 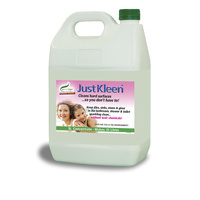 A great all-round bathroom cleaner, I have been spraying it on all surfaces and they are sparkling. Especially effective on soap scum on the glass and tiles, and brilliant for those hard-to-reach spots, I just spray it into the shower corners and edges of the grout, and the orange stuff disappears after a couple of applications. I love that it's environmentally friendly and so no worries about bleach spots on anything or even damaging stainless steel fittings It also has a pleasant odour! I've been using this product for several months and have been very impressed with the results, not only on my shower tiles and glass but also in all the awkward to clean areas around the bathroom. 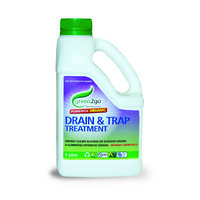 It removes soap scum from around the shower mixer, keeps plugholes clean, prevents build up of mould in the plastic strip at the bottom of the shower door and keeps the hinges on the toilet seat clean and odour free. The initial cleaning action takes a week or so of repeated application to remove established soap scum on tiles, but then a quick spray once a week or so seems to prevent further build-up. 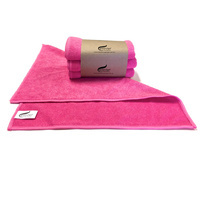 It's very easy to use and leaves no chemical residue or smell. Great to have a product that not only does what it claims to do, but also has no harmful effects on people or the environment. Highly recommended. Hello, I just wanted to say how happy I am to have found your product. I have been looking around for a chemical free cleaning solution for awhile now. 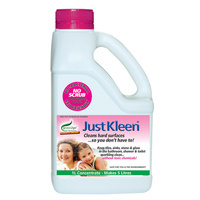 I ordered Just Kleen a few weeks ago to give it a try. I have an older glass surround & tile shower that I feel like I am constantly having to clean as it collects soap scum. I have been using the spray once to twice a week and using the squeegee after my shower and the shower is just getting cleaner and cleaner without scrubbing. I am so happy to spend less time cleaning and scrubbing my shower and I'm feeling good that I'm not using chemicals while doing it. Really happy with the product and will definitely recommend it to my friends and family.